Do you have an interest in Lighthouses? If so I invite you to join my Lighthouse Enthusiasts group. 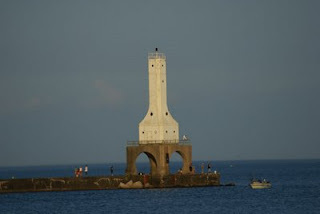 This group is for anyone who has a lens on Lighthouses or anyone who would like to write a lens on lighthouses. If you are interested please follow the link below. If you know someone else who has a lighthouse lens...please pass on this information. I love lighthouses. Since my retirement two years ago I have been busy photographing lighthouses on the various trips we have taken. I have photographed lighthouses in Maine, Michigan, Wisconsin, Georgia, South Carolina, and Florida. This blog will be devoted to talking about lighthouses and showcasing lighthouses photographs. I will start with my own squidoo lenses, but I hope to also have contributions from other people talking about lighthouses they have visited and sharing photographs. Today I wrote a new lens on the lighthouse in South Haven, Michigan. 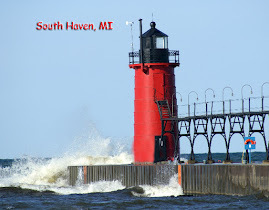 It includes many of the photographs I took while visiting South Haven. 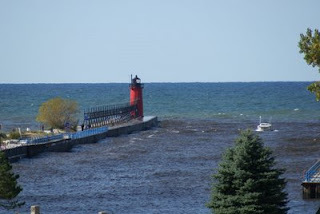 You can view my lens at South Haven Lighthouse .